One of the names of God is מָקוֹם, meaning “Place”. The sages reveled to us that the world is not a place that God exists in but God is the place that the world is in. For a regular religious mind it will be very hard to accept what I am going to explain here. It is very important to understand this article and concepts in order to break out of the illusion of the five senses. The whole existence IS God and nothing but Him. We are not individuals. We are formed from a thought and the force of God. From that light, the world was created. There was no import of material of any kind. No distant planets, no heavy cranes, no foreign workers, no engineers. NOTHING but the thought and force of our Creator. One ‘Big Bang’ and everything came to be. The basic elements that we know as the building blocks of all matter in this world are atoms. They consists of three energy elements, electrons, neutrons and protons. Advanced science tells us that they have no actual substance but patterns of energy ‘trapped’ by unknown force. Moses and the Zohar tell us that this force is YHVH because there is “None else besides Him”. YHVH is the force and the system that governs our existence. It is the unseen force that exists in the ‘space’ where the atoms and all particles are in motion. It is the Tree of Life system that holds the atoms and all patterns of energy in their known structure. The electron, neutron and protons are the aspect of the three column system. Their state of existence in constant motion defines time and the TEPMOrary world we experience. Temporary is an illusion in a timeless presence of the light. As science teaches as with the laws of thermodynamics , Energy transforms itself but can never be lost because it is the force of God. The transformation process defines time and temporary state of existence of what we call matter. Our point of view is the Tree of Knowledge, Good and Bad. The constant motion of light and consciousness or better yet, the consciousness that keeps the light in motion, defines separated elements. It is the world of Malchut. It doesn’t have light of itself because of the illusion. The unity and the existence of the light force in all this, is concealed. In a way we get ‘dizzy’ and trapped in patterns of consciousness around us that we don’t see the light. Understanding and working our ways through the Sefirot connect us to the Tree of Life. Only then, we can see the oneness of the light in everything. Following the spiritual laws, helps us ‘shed’ the ‘shells’ (Klipot) that create veils and separate us from the Light. We are part of God and we can not see the truth because we are trapped in the body consciousness. When we die we can see ourselves as part of God. Because of the different stages and process of the Tikkun we still have a soul identity after life. Spiritual tools and especially the Zohar are the way to get closer to the Tree of Life. When we elevate our selves above matter, we can break out of the illusion and reveal God that we are part of. We can cure all diseases because they could not exist in the Tree of Life state. People with strong faith are known to recover faster from illness or crisis because they break through the illusion of matter and touch the Tree of Life. If scientists use the Hebrew letters as part of Periodic Table of elements, there will be a great break through in the area of mind over matter. If more people share this understanding then it will widen the bridge between Malchut, which is the material world and the Tree of Life. 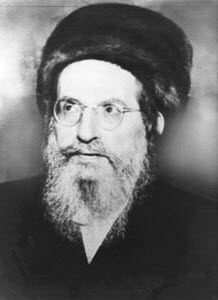 Rabbi Shimon had the highest connection to the spiritual dimensions. He was able to control nature and the force of death. He could resurrect people to life and harness all fields of energy (aka angels) to obey his will. He left the world on his own terms, leaving us the essence of his mind and energy through the Zohar. He was made out of the same material as we are but his consciousness broke through the physical levels of consciousness. From the Tree of Knowledge, Good and Bad he elevated himself to the Tree of Life. His actions were like God and he left us the tool of the Zohar to gain the same consciousness. When we start behaving with the rules of ‘”Love your neighbor as yourself’ and “Do not do unto others what you do not want others to do unto you”, we can become elevated beings like Rabbi Shimon and can channel the force of God that is already us.